Ardea Arts is proud to present BOUNCE, which had its development premiere in November 2017 with development partner University of Kentucky Opera Theatre. Performed on an actual basketball court, BOUNCE is grounded in contemporary issues facing today’s youth, particularly teen violence. The production, which pairs diverse casting with a fresh approach to arts education, integrates local and high school students into the world of opera and music theater using the powerful medium of basketball. BOUNCE is an American story told through basketball, a modern take on the Icarus Legend. Centered on Ike “The Flight” Harris, BOUNCE charts the triumphs and tragedies that basketball dreams bring. Ike grows wings, and soon he flies too close to the sun. His wings start to melt, and he crashes into the sea, his dreams crashing with him. Ike struggles to keep going amid ugly rumors while his chief rival soars into the limelight. BOUNCE asks, what does it take to work through trauma and tragedy to rise again, to regain one’s full self? The answer lies in the game of basketball itself. BOUNCE is a groundbreaking new American work that melds genres and defies stereotypes, embracing the full palette of contemporary American music. It tells this story with the hard-hitting sounds of modern hip-hop, R&B, jazz, gospel, and classical vocal technique, melding with the squeak of sneakers across the court, and the percussive beat of the basketball. Performed on an actual basketball court, BOUNCE features local basketball players playing side-by-side with professional actors, singers, rappers, game commentators, and guest artists. 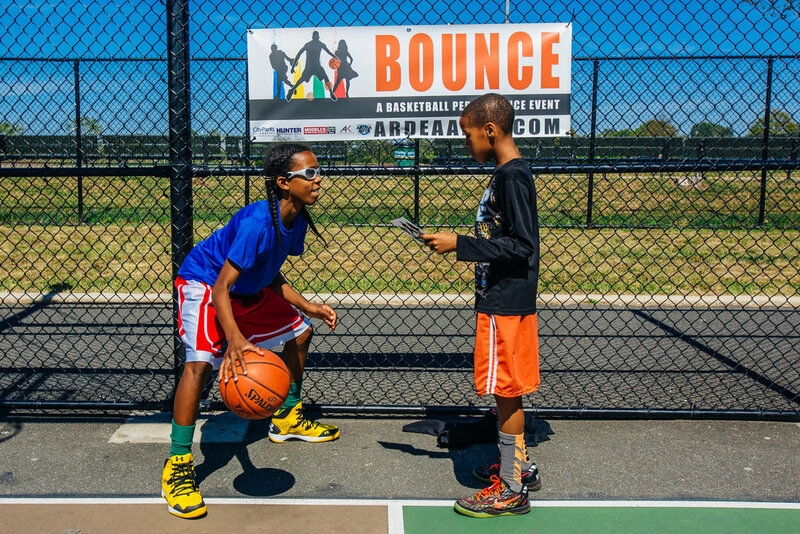 BOUNCE also rocks the rim with extraordinary community engagement programs to attract diverse, new audiences of all ages. BOUNCE addresses issues of teen violence, the school-to-prison pipeline, the accountability of one’s actions, as well as the importance of education. 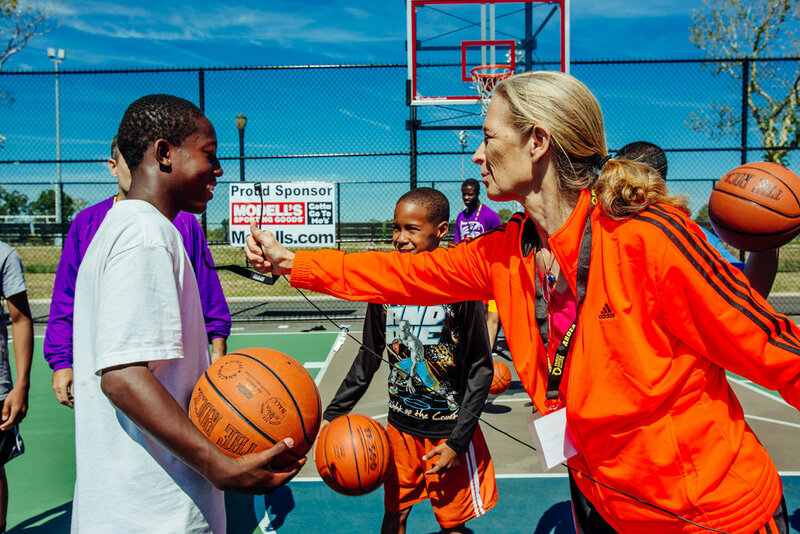 BOUNCE also celebrates our love of basketball, the opportunities it brings, and how basketball itself saves and transforms lives. Our goal is to bring this unique American story to communities across the nation. All recordings provided on this website may not be reproduced or rebroadcast, in whole or in part, without express written permission of the copyright holder (Ardea Arts Inc.). Please contact us for any legal inquiries. 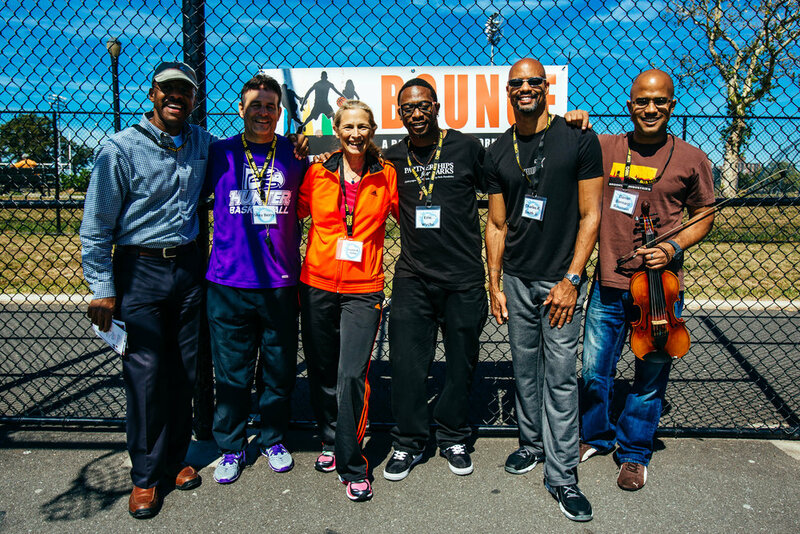 BOUNCE is a groundbreaking work at the intersection of basketball, musical theater, and opera. 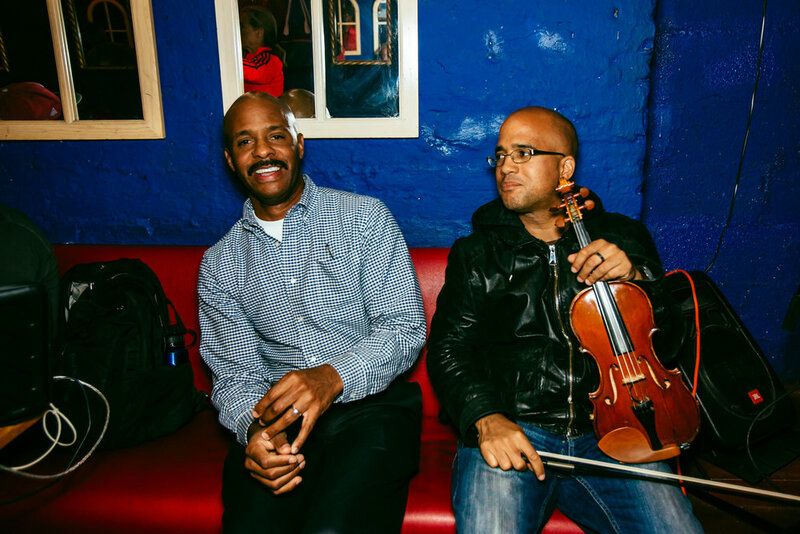 Music, poetry, and spectacle combine to entertain, challenge, and drive social change. Welcome to BOUNCE. This six minute video goes over the story of BOUNCE in a trailer-like fashion. 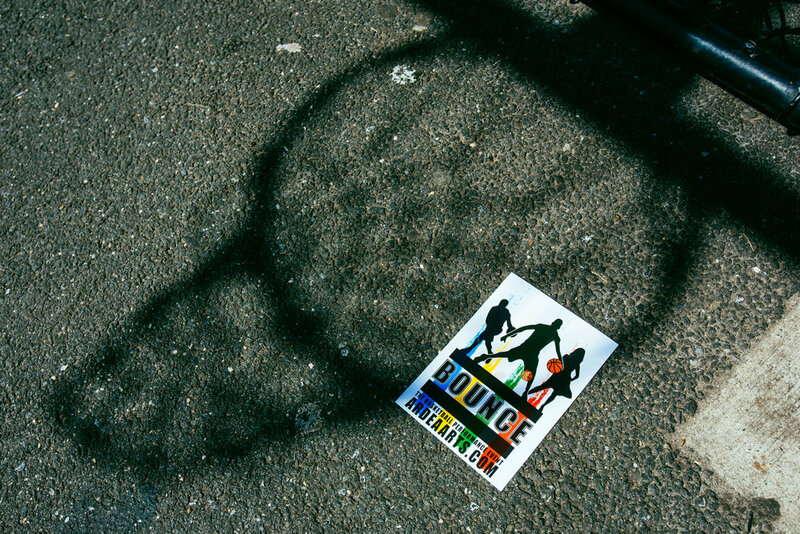 Since the program also touches on important social issues for youth today, we launched an extensive community outreach program in 2017 with various community organizations, to bring BOUNCE and its unique and important message to youth from Manhattan to Brooklyn, and all the way to Lexington, Kentucky. One step beyond … Busting the boundaries of opera and theater! A message of nonviolence [and] a theatrical marriage of basketball and opera. The grandeur of operatic singing and the raw grit of ‘street rhythm’ come together to tell the story … of the harsh realities of gun violence. The production examines the pain of gun violence and the resilience of the human spirit. 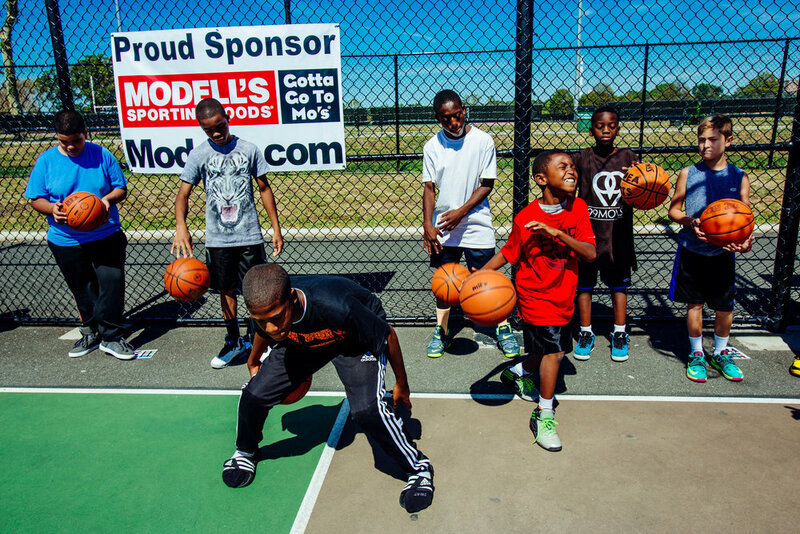 BOUNCE seeks to offer community engagement workshops in a collaborative effort to help introduce and expose young people to theater and music through the game of basketball. The workshops allow youth to learn basketball dribbling fundamentals, gain basic theater and music knowledge, combine the two elements of art and sport to express their creativity and, most importantly, to gain the chance to better understand the complexities of growing up in today’s world. In anticipation of the November premiere, BOUNCE partnered with Lexington, KY area organizations and schools to offer community engagement workshops led by BOUNCE cast members—the Basketball Ensemble team. At Crawford Middle School, for example, BOUNCE was asked to address gun violence and conflict resolution, as the week prior there were two separate instances where students brought guns to school. The team was able to discuss the friction between the two main characters, “Future” and “Flight,” and ultimately share the consequences of Future’s poor and rushed judgement. This was followed up by further discussing the impact gun violence can have on the lives of the shooter, the victims, and their families, themes inherent to BOUNCE. Finally, the workshop ended on a positive note by teaching conflict resolution by allowing the students and cast to get to know one another through a hip-hop cypher. This allows kids to share their talents and express themselves through spoken word, dance, dribbling and/or singing, helping them see that they have an entire gym of students, faculty and staff, and strangers working with them, and rooting for them! Ardea Arts presented Showcase Performances of BOUNCE at Paerdegat Park in East Flatbush, Brooklyn in June 2016. Pairing diverse casting with a fresh approach to arts engagement, local high school students, ranging from Business of Sports School (BOSS) in Manhattan to EBC High School for Public Service in Bushwick, Brooklyn, worked alongside seasoned professionals and integrated into the production using the powerful medium of basketball. They became the basketball players, the cheerleaders, and Flight’s classmates and teammates. Local and national community leaders, including figures such as Officer Robert Thybulle of the NYPD, and Jumaane Williams of the New York City Council and recent NY State Lieutenant Governor candidate, also played a number of the adult roles. 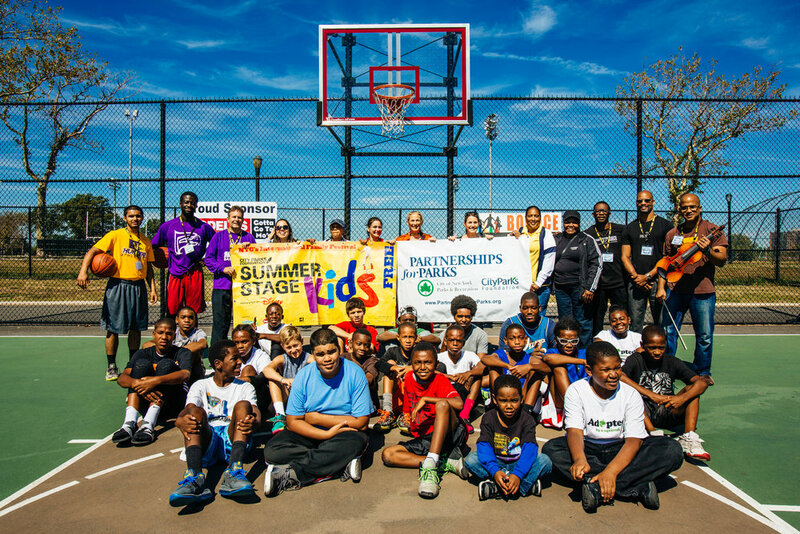 Ardea Arts, in partnership with the City Parks Foundation presented Bounce: The Basketball Performance Event for children age 10 – 18 and their families, at Kaiser Park in Coney Island, Brooklyn on Sunday, September 14, 2014. Kids enjoyed a ball handling workshop, a performance of words and music by noted performers, and got the chance to be filmed showing off their basketball skills and expressing their creativity. Still have a burning question about BOUNCE? Check out the Show Specifications or contact us for more info!